And, of course, we’re typically talking about marketing in the focused framework of “marketing and physical therapy” -or- “marketing and healthcare,” at large. Despite the fact we talk about business & marketing all the time, it’s still a worthy topic to discuss. Answer: As healthcare continues to evolve and becomes more consumer oriented & marketplace driven, the economic forces at work will ultimately fashion an environment where creating demand will be the key in sustainable business growth versus that of depending on referral sources. 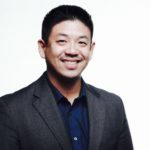 We are already seeing massive hints of this as huge practices with dozens of clinics have been reaching out for solutions in business growth as their referral channels have seemingly depleted. 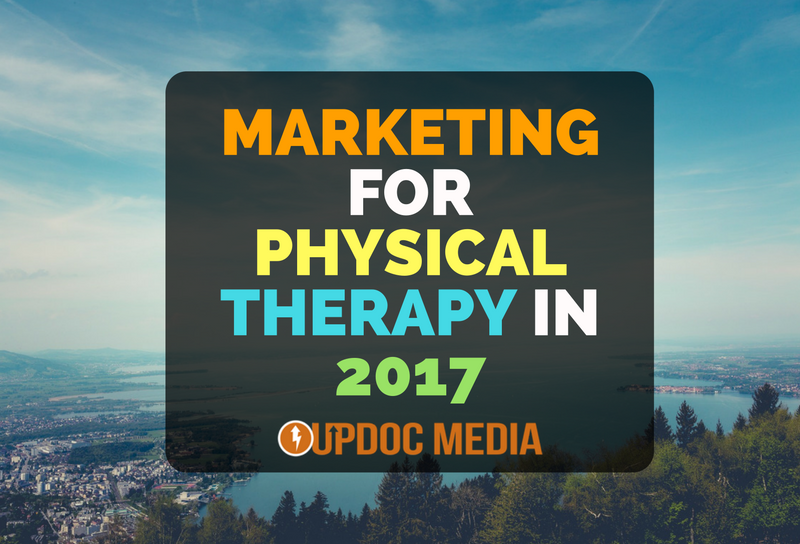 So, with that: Let’s take a fresh look at what 2017 has in store for Physical Therapy marketing! 1. Branding Will Become A Daily Battleground. Over the last several years, digital marketing has been a massive battleground for generating leads, capturing contacts, segmenting audiences, and developing out a sales funnel with high conversion rates. While this will continue to be a pattern of practice in marketing for the coming couple of years, the battlegrounds are already shifting toward branding. And, we’re not the only ones that are saying so… Gary Vaynerchuk agrees. So, why is it “all of a sudden” changing? Technology. Well, it’s not. And, it is. The fact is: All the platforms we use on a daily basis; be it social media, search engines, or our mobile device… they all track our digital movements, interests, shopping patterns. Creepy? A little bit. But, what you’re probably noticing more is the convenience. As such, these platforms have heavily shifted their algorithms away from the strategic and technical approaches; they’ve focused, now, upon the user experience. Everything that the user does, the browsing behaviors and social engagements… are ultimately converted to data mining algorithms which identify the brands as well as the product & service types you’ve been looking at/for. And, which brands will you likely gravitate toward? The brands you know. The brands you trust. 2. Micro Productions Will Win Over Large Budget Channels. Big budget productions are starting to lose traction en masse. Spending four, five… or even six figures on print ads, mailers, billboards, television and radio plugs… yeah, that game is all but over — that is, unless you area huge brand with a massive marketing budget, gunning to stave off competition via offensive marketing strategies (perhaps, a blogpost to come 😉 … or, just join our PT Business & Entrepreneur Accelerator and watch the replay of the topic, already hashed out). Micro productions are not only more affordable, they are more consistent. AND, of course, consistency is key. Good content in the form of documentaries, exercise series, testimonials, and even live video streaming, will become the new brand currencies for 2017. While a certain level of raw production will be appreciated for its authenticity, engaging campaigns will be comprised of both raw presentations as well as professionally polished productions in order to successfully elevate brand positioning within the mind of the consumer. The key factor in the success or failure of micro productions will not only depend on the wider scope of branding, it will depend on the careful art of storytelling -NOT- the art of convincing, be it via credentialing, special clinical focus, outcomes, satisfaction scores, or otherwise. Stats’ are stale. Stories build trust. 3. Get Ready To Do Messaging Like You’ve Never Done Before. It’s already happening… patients are scheduling via email, inquiring for appointment times on messaging apps, and straight up responding to Snapchat stories. Direct messaging, be it via Facebook, SMS, or any other platform will become the new norm by the end of the year. I mean… it’s already happening now. For 2017, you best get the staff responsible (be it, receptionists, office managers, or actual marketers) for managing patient contact and customer relationships to get all over messaging platforms… Every. Single. One. SMS marketing via the general use mobile device is already a huge hit within the retail market. Health systems are using mobile updates. Therefore, it is only a matter of time that being engaging, personable, effective in communication & efficient in time, will be a new, “new normal” within business administration competency. 4. Healthy Website, Healthy Business. Your website is your first and primary digital footprint. It remains the single platform you have 100% control over. Sure, social media outlets, business listings, and even search engine ranking is all well and good (and, 100% necessary). However, as much as those are wonderful… should they change or go out of business/style, your company gets the short end of that stick. In fact, there are already grumblings made by many business types that heavily rely upon everything other than a strong website. And, when I mean “strong website”… I don’t just mean it looks and feels good. While that is a major, major part of it… by “strong” I mean strong in design, in user experience, in content, in searchable discovery, and as the central core of what holds your digital footprint together. By the way, if you’re looking for a place to start in auditing the quality of your website, you may find our blog post “5 Website Flaws That Are Killing Your Clinic” as a helpful start. As important as it is to generate new patient demand, there is a singular business struggle that has been identified within physical therapy business: Talent. Finding, attracting, and retaining good talent has been repeatedly identified, for the last 2-3 years, as the largest struggle in keeping physical therapy business’ healthy. This is both a cause of the fact that millennial professionals are becoming the majority of the workforce. This is also a cause of the forces of economics; as demand for physical therapists and physical therapist assistants have come to an all time high, not likely to let up soon… it is leaving in its wake, far more PT jobs available than there are PTs to fill them. So, what attracts talent? Glad you asked, because here is our talent acquisition report from 2016. Beyond that, what talent seeks and “shops out in an employer” is done in the same fashion that prospect patients shops out their healthcare provider. Good talent seeks out your brand, your website, your social media outlets… and, comprehensively reviews you as an option of employment. If they don’t like what they see, they will not likely apply… much less accept an interview. Crazy? Entitlement mindset? Backwards??? No. Economics. If you want top talent, you MUST have the right digital footprints to attract them… and, the right brand story that cultivates trust. At UpDoc Media, all of our co-founders are Physical Therapists. Our essence and very purpose is to help physical therapists win; to serve as accelerators of success. If anything in this blog posts strikes interest, please let me know!